After the Bravo team goes missing in the forest surrounding the Arklay Mountains, Resident Evil opens with the remaining members of S.T.A.R.S investigating claims of the cannibal style murders taking places around Raccoon City. 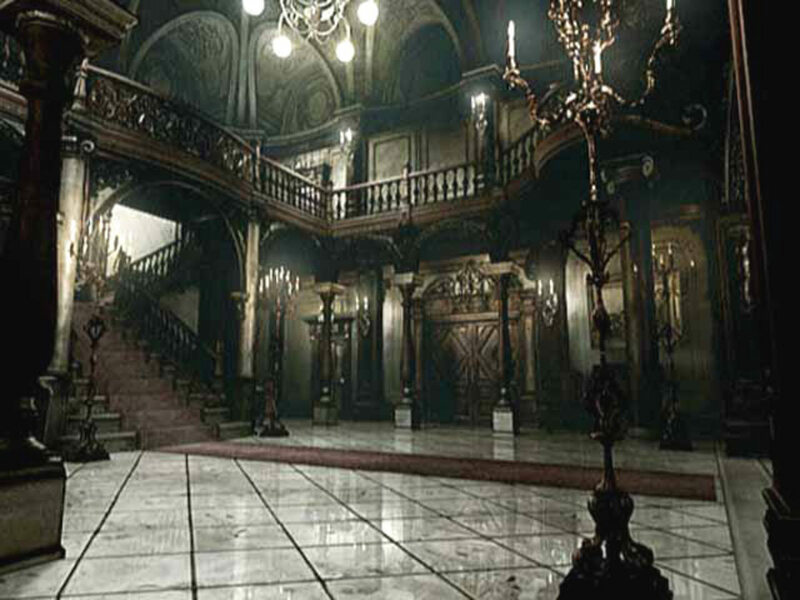 Depending on what version of the game and what console you are playing on, the open cinematic differs both regionally and though Directors Cuts and HD Remasters of the game, but what remains is that terrifying first look at the Spencer Mansion- the staple of hauntingly beautiful and deadly real estate that players come across in the Resident Evil franchise. 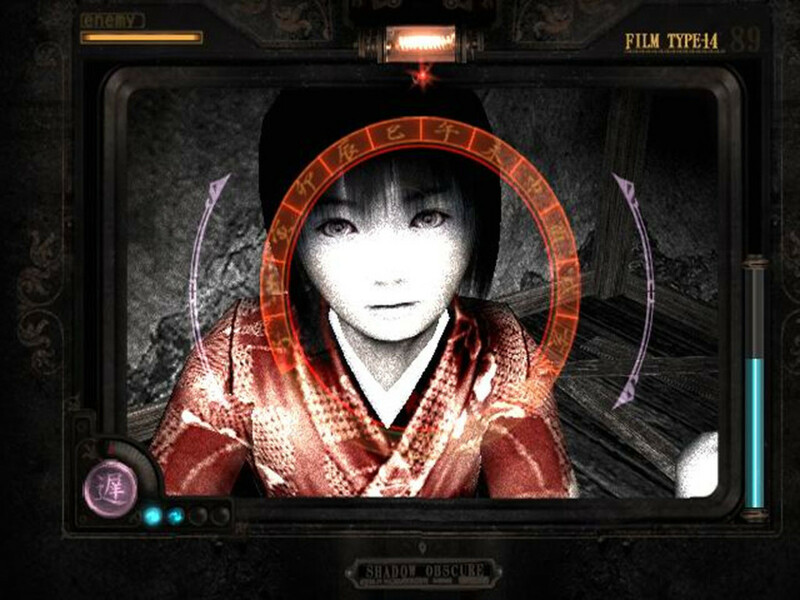 From its origins(portraying events before the Spencer Manson but released years later) in Resident Evil 0 where Rebecca Chambers and a convict on the run, Billy escape a train and make their way through the sewers and power plant near Raccoon City, the influence of the Umbrella Corporation is felt all over the region and its lavish homes, training facilities, and laboratories are filled with strange traps and puzzles. Still nothing in the series comes close to what is in store for the members of S.T.A.R.S. 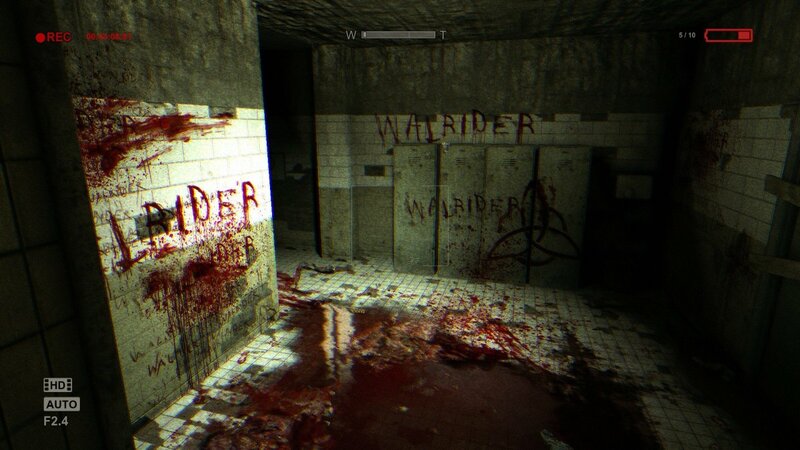 upon entering the Spencer Mansion. The estate also offers guest quarters for the laboratory staff living on the grounds, the Trevor Cabin with underground access to the sewers where the monster that was once Lisa lives (in the HD Remaster), a lot of woods, a family plot, the helipad, and that pesky laboratory that invented and "accidentally" released the T Virus into the population and now zombies, Hunters, and mutant animals are running a muck through first Raccoon City and soon globally as Umbrella Corporation and their subsidiaries kill off a good portion of humanity in the Resident Evil series. After last years release of Resident Evil 7, the game play has stepped back from being so much of an action shooter and focused more on the puzzle solving that made us love the early entries into the series. Introduced to the many lairs of Umbrella and its allies, still the Mansion is the most important of all the properties. 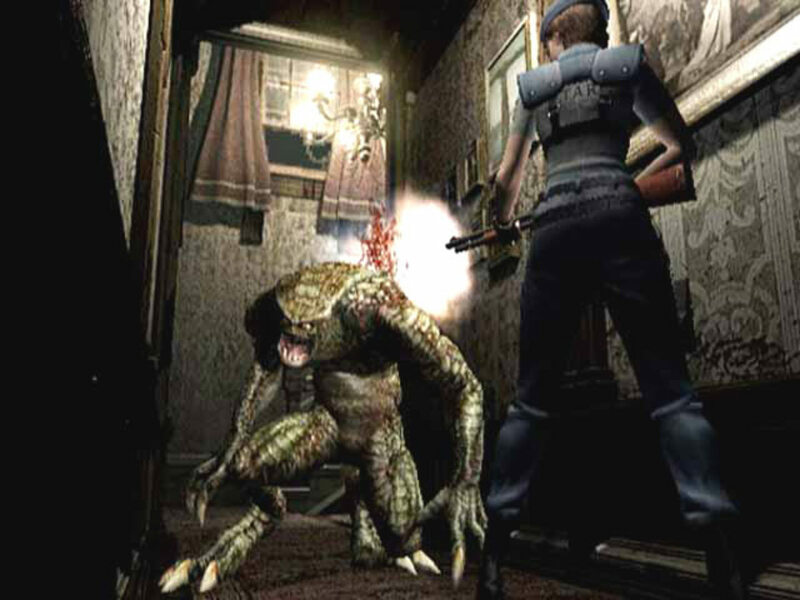 During game play, either Chris or Jill must solve puzzles and avoid monsters at all costs as the health and ammo hidden throughout the mansion is scarce even on the lowest difficulty. Because the game is set up to make you constantly backtrack through areas to find pieces for later puzzles, killing something that could easily have been dodged might be the way to go as the main house only offers two save locations in the form of safe rooms on either side of the house. On the grounds, some locations such as the Trevor shack or the barracks only offer one save room so making it across the massive courtyard and back into the mansion on the second pass when it is now filled with Hunters, might be worth saving the bullets. To make it even more difficult in the HD Remaster and Director's Cut, some doors may break and only give passage so many times through cutting down on the amount of hallways that can be used when backtracking. The HD Remaster steps it up with additional puzzles featuring the Death Masks before getting the crests needed to open the courtyard gate and unleash the hellish incarnation of the Crimson Heads, a fast version of resurrected zombies that were previously killed on the first pass through. 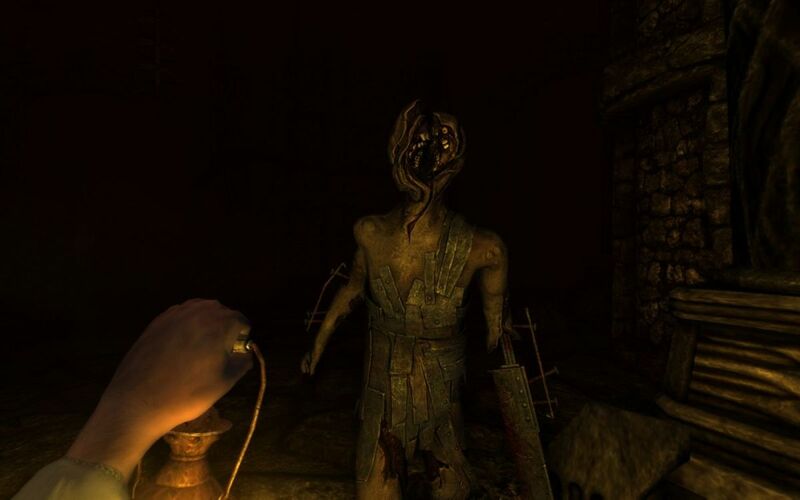 Crimson Heads are extremely quick, hard to take down, and take a lot of health out of you if hit, so sometimes not killing a zombie in a main hallway or blocking a doorway might be the best suggestion. 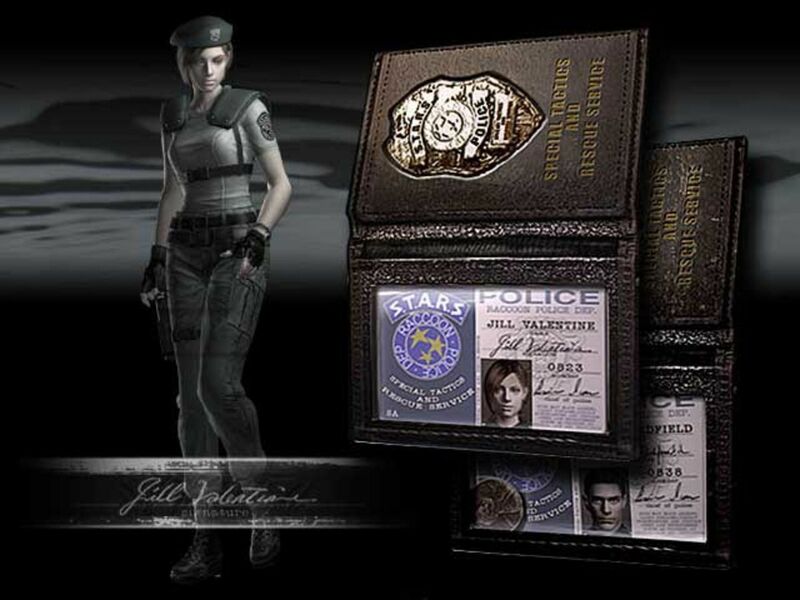 Whether playing as Chris or Jill it is discovered that your captain, Wesker, works for Umbrella and has set up the team as an simulation experiment for the monsters in the lab. 28 rooms filled with traps, and one bathroom in the main house with a zombie, the Spencer Mansion is one of the most intriguing and iconic locations in early horror video games. 20 years after the release of Resident Evil, fan sites still detail the rooms, render new remasters of everything from the texture of the wallpaper, to artwork on the the doors. Some internet geeks even aspire to actually build the main house. The planning of the iconic mansion in Resident Evil goes back to the early sixties where a man named George Trevor was contracted by Umbrella's top executives to create a corporate estate where employees could live and be entertained. Little did Trevor know that the heads of Umbrella, Oswell Spencer, Dr James Marcus, and Edward Ashford were signing his death warrant as he took on designing the elaborate estate. The plans kept changing constantly, some rooms needed items used to solve puzzles as keys to get through to other areas. As Trevor worked for years on the design which included the main house, courtyard, dormitories in the woods near his shack, Dr Birkin was on the brink of discovering the T Virus. As completion was nearing, George Trevor felt that he was being used and mislead and was sure that he was a prisoner on the estate he was building from journal entries found near his headstone in the HD Remaster. Being told his family had gone off to see a sick relative, George's wife, Jessica and daughter, Lisa were some of the first test subjects being held in the basement labs and heavily experimented on. Jessica was killed as her body rejected the virus, but Lisa was becoming mutated. The Lisa that attacks Barry and Jill in the HD Remaster has spent decades being a puppet of Umbrella and took to living in the sewer system underneath the Trevor Shack and Barracks in the woods beyond the courtyard. Lisa becomes violent due to her treatment and only remembers her mother's face and starts taking the faces off those that she kills making a horrible mask. In her writings before she completely loses her mind she keeps saying that she only wanted to see her mother's face once again and is reunited with her skull after a battle with Jill and Barry. The knowledge of the home lost George Trevor his family and his life and leads to the question if all the Umbrella locations used designs that Trevor created in the 60's while imprisoned on the grounds of the Spencer Mansion as even in the later games in Europe, on the grounds of the Ashford estate in Resident Evil: Code Veronica , and even the Baker estate in the latest Resident Evil 7, benefit from the same strange keys, traps, and layouts. Resident Evil 7 even has a receipt for Trevor Construction in its files found in the attic above Lucas' bedroom. Containing gas chambers, mutant shark tanks, and secret labs hidden under the main house, the Spencer Mansion is extremely creepy. 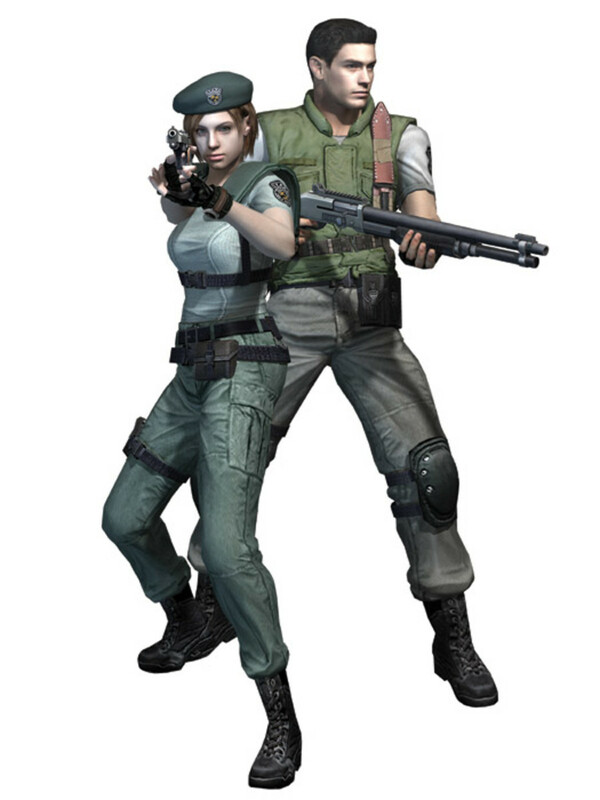 In Resident Evil, Jill and Chris are both playable characters for the main campaign. Though most sections of the game are fairly the same depending on what edition of the game, there are some differences in the location of items, how quickly new weapons are introduced, and who the character comes across when needing a helping hand. Jill is "the master of lock-picking" whatever that is to mean and she is able to open some doors from the start with the lock-pick, where Chris must either wait for a key, open the door from the other side on his pass through of the Spencer Mansion on the first time or be aided by Rebecca when they meet up. Jill has more item slots and can carry more. The lock-pick does not take up a slot just as the lighter does not as well. Jill can get the shotgun early instead of having to find the broken shotgun to replace the one on the wall before the ceiling comes crashing in and "almost makes her a Jill sandwich." Jill can wait until she gets the broken shotgun as well but once the shotgun is lifted off the pegs, and Jill walks into the room with the lowering ceiling the doors are locked and Barry has to come to rescue. Jill can not take as much damage as Chris and though the color coded health meter might give some indication of how much more damage she can take, Jill can be killed on Cation depending on the enemy. Jill does seem to move a little faster in the HD Remake, and finally without tank controls can do a 180 turn. Jill knows how to play the piano so in the segment with the piano in the bar room, she can open the passage easily without needing help from Rebecca like Chris does. When Jill faces Yawn for the first time and comes across Richard who has been bitten in the hallway, Jill must leave and get the serum from one of the save rooms. If she is bitten in the battle she must save herself from being poisoned, unlike how Chris can be healed by Rebecca who has medic training. If Jill saves Richard, he will aide her fighting Yawn in the attic and even though he dies anyway, Jill can then pick up his weapon. But Jill doesn't have to save him and can waste time and periodically come back until he becomes a zombie and then take on the Yawn fight. In the HD Remaster, there is a second room also located in this section where that must be backtracked through to get the sheet music. Chris can avoid all this and go straight to fight Yawn. 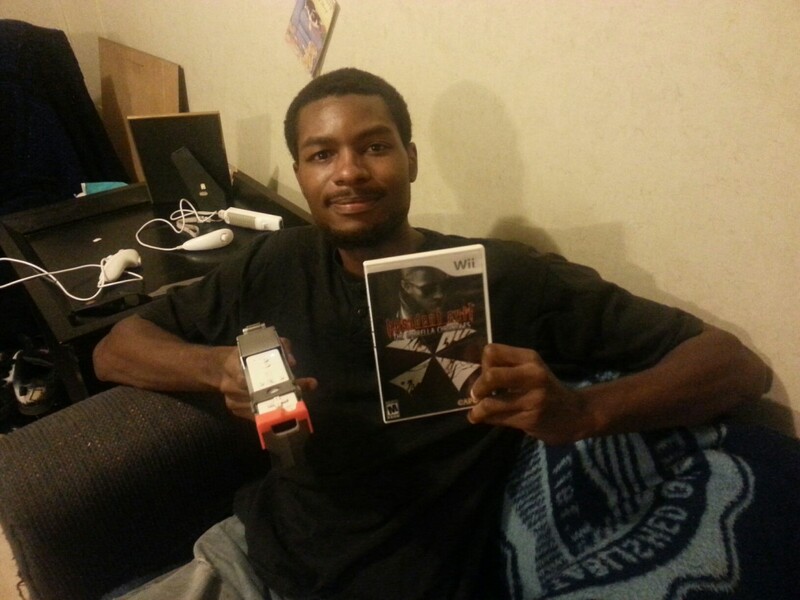 Except for the little assistance in the middle of the game from Rebecca, Chris pretty much plays the game by himself and only comes across other S.T.A.R.S. members in the cave area, and at the end of the game as they flee the labs and fight the Tyrant before escaping on the helicopter. There are few differences in the campaigns between Jill and Chris. Jill is aided by Barry who often leaves her ammo, and appears in a few sections of the game to help and eventually betray her. Chris gets some early on help from Rebecca but then goes the rest of the game without any more assistance until everyone is reunited at the end of the game. Resident Evil 7 went back to its roots of and put the survival back in survival horror after the franchise went the route of being an action shooter for games 4-6, where even the DLC for 7 didn't answer all the questions about how this new Blue Umbrella was different from the evil Pharmaceutical company that almost ruined the world and why Chris Redfield was a part of the corporation- 7 was very much a game about location. The games have taken us all over the world from wherever fictional Raccon City is, theorized online to be Missouri for some reason due to the environment to rustic Europe and Africa in Resident Evil 5, 7 brought us to a creepy bayou of Louisiana and onto a huge run down estate of a missing family known as the Bakers that had been featured on a ghost hunting show. The estate similar to the Spencer Mansion in having a main house, guest house, old house, boat house, green house, areas of mines, and a trailer with a bra that can be examined and a head in the fridge. A note in the attic of Lucas's room in the old house shows a contract from Trevor Construction for the building but doesn't specify a year, but the windows behind the main house when gazed upon from standing in front of the trailer do form the Umbrella logo, so how long the Baker home has been used as an Umbrella property is unknown. We do know that both Zoe and Lucas both had outside contracts and were passing along Intel about the experiments being performed on the estate but how long before Eveline being brought onto the property had this been taking place? Set up the same as the Spencer Mansion with walls that could be moved with light puzzles, strange items that must be combined to use as keys to interconnecting sections of the property, a basement morgue, and nearby mines, there was no way that the Baker farm was just some southern antebellum. Who the Baker's were was only quickly explained as the "typical family" before the events of Resident Evil 7 and the fungus mind control of frightening little experiment in the E series, Evie. It is theorized that they might be some relation to someone else in the game, possibly one of the founders of Umbrella from the layout of the estate. Nothing more has been told about that suspicion but it could be something to think about for the release of 8. Twenty years after the release of the first Resident Evil, a myriad of games try to honor the classic with their own spin on a similar story and a creepy mansion setting. Where Resident Evil wasn't the first to do a creepy mansion in games, today's media still mimics the style even making a joke in The Evil Within where alcoholic cop, Sebastian comes across a beautiful Victorian estate and jokes he "feels like he has seen that house somewhere before" in a tongue-in-cheek manner. Twenty years and seven main games and many spin-offs later, Resident Evil has covered lots of ground with its buildings but it is the Mansion that is the most memorable and every gamer remembers that first moment when the doors close and in the elaborate hallway and terrible voice acting of the 90's a very blurry cast of S.T.A.R.S members start to explore the dinning room after realizing whoever you aren't playing is missing from the group. The cut scene showing the first zombie- and strangely in the only one in the original North American version that can not only open doors but needs several head shots from the Magnum to go down, has been used again in all sort of horror movies and games as an homage. The exact same scene is spoofed in a tent in The Evil Within including the camera angles showing the first real zombie of the game. Everyone remembers the hairs standing up on the back of their neck as they traversed the hallways of the Spencer Mansion for the first and now maybe hundredths time waiting for those scripted jump scares like how many passes it takes for the dogs to hurl themselves through the windows. It is the attention of detail and the updates to the puzzles and graphics that made most gamers buy every edition of the game that was released. I currently own three systems that I have the original Resident Evil on and each one has its own replay value. The Spencer Mansion was the proof of concept for Resident Evil that an entire game could take place in a very small location- even counting the barracks, labs, and woods outside and that forcing the player to keep coming back through the same location with subtle changes and new enemy placement can be truly terrifying. I am among those crazy people online that study the floor plan of the main house and if there was enough money in the world to build the thing, I would be all about it. Only I would need a few more bathrooms, the zombies can stay.